Inspired by a conversation about the perils of sexting with some of his fraternity bros at college in Palo Alto, Evan Speigel launched a disappearing-picture app from his dorm room. Could the co-founder of Snapchat then have imagined he’d one day be on stage at a global advertising festival in Cannes extoling the merits of vertical video advertising for brands? Everyone has to grow up sometime. It seems — in the realms of the advertising world at least — Snapchat, an ephemeral playground for the Millennial generation, is coming of age. This plays out in the statistics. Fifteen million people contributed to last New Year’s Eve live postings on Snapchat, compared to 5 million who watched the New Year’s Eve celebrations on ABC. Following the haunting Snapchat video taken by one of the victims of the Charleston shooting, the platform is now quickly becoming a news brand. As Snapchat users submit their videos and pictures of events for public consumption, Spiegel argues that Snapchat offers something you can’t get from other linear forms of broadcast media — the ability to view an event from thousands of different perspectives. "We believe many different perspectives is better than one perspective," Spiegel said at Cannes. 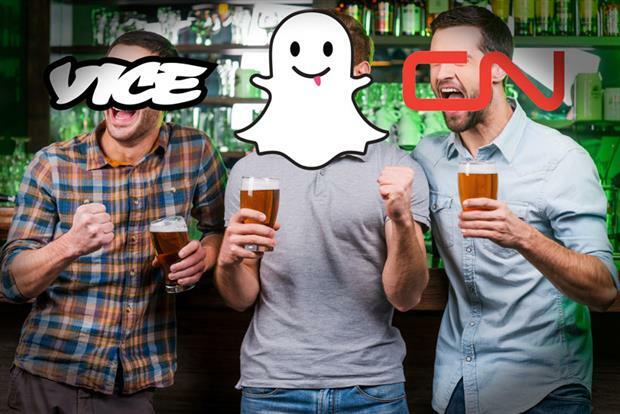 Snapchat is also hiring journalists in order to learn how to cover newsworthy events, and has launched professionally created content, in the form of Discover, in partnership with CNN, Vice and Comedy Central. The reason Snapchat appeals so uniquely to the Millennial generation is that it puts the emphasis on fleeting moments of fun, rather than acting as a repository of the past or a platform to publicize preening profiles. At Cannes, Speigel explained it thus: "Snapchat is saying you are who you are today." In this way it allows the younger generation to do what it does better than any other — live in the moment. Spiegel told Cannes delegates: "It’s weird when brands try to act like your pal" and advised advertisers to be friendly but not try to act like a "buddy" to consumers. Conversely, Snapchat seems to be putting all its efforts at the moment into getting as friendly with brands as possible. Speigel’s appearance at Cannes follows the release of an infomercial (roundly panned by observers as awkward and joyless) where Speigel talks up Snapchat’s ads and 3V vertical video views. But however forced the sell may seem, for brands wanting to target Millennials, it’s time to get as pally as possible with Snapchat. Tash Whitmey is CEO of Havas Helia.